The 1970s were a decade of full-size vehicle production. New Process assemblies were used in almost all major brands of 4×4 vehicles. The 203 is one example of a popular unit due to its ability for part and full-time operation. Dodge, Ford, Chevy and some Jeeps used the 203 at different periods of time. What you came here to find is an in stock NP203 transfer case. We come through for you. We have these in stock and for a reduced price. Many of the full-size Chevrolet vehicles have used the 203 units. These were offered to work flawlessly with a manual or an automatic transmission. There were no restrictions on the installation of these units. The good thing is that we’re still able to get these for sale. 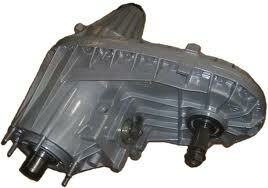 There are plenty used dealers selling the New Process Gear 203 transfer cases online. What you’ll find though is huge differences in price and quality. We rebuild units. We also leave them in used condition. We do this for two reasons. The first is that used is often preferred. Many people get used to buying preowned parts. The quality of each NP case assembly provides the longevity that vehicle owners expect. We have these in rebuilt condition too. The second reason people enjoy the 203 is because of the price. Units that are preowned, especially when sold here, are priced lower. You won’t have to search a local scrap yard or junk yard anymore. We’re giving you access to completely refurbished or previously owned transfer cases. Each unit comes complete. These can be installed professionally or by the DIY crowd. We even make the shipping cheap for you. We can even cut out the shipping costs on some units. Each price quotation that is delivered for a New Process case assembly includes cost of freight. Price quotes are what helps you get our price. These are also a way for you to get completely customized order processing. When you submit a quote, the price is displayed right here online. We give you time to review it. We offer you to call or to send your request by email if you have questions. Our transfer case inventory is growing weekly. We know our NP204 4×4 case assemblies are very affordable.